In the Fall of 1970 I was a Freshman at MacArthur High School in Decatur, IL! Because of my bad knees, I got special approval to attend MacArthur despite the fact that Arizona Drive was in the Stephen Decatur High School District! MacArthur was only 2 stories with a small elevator but SDHS was FOUR stories and no elevator! I had a LOT of changes to go through that Fall. 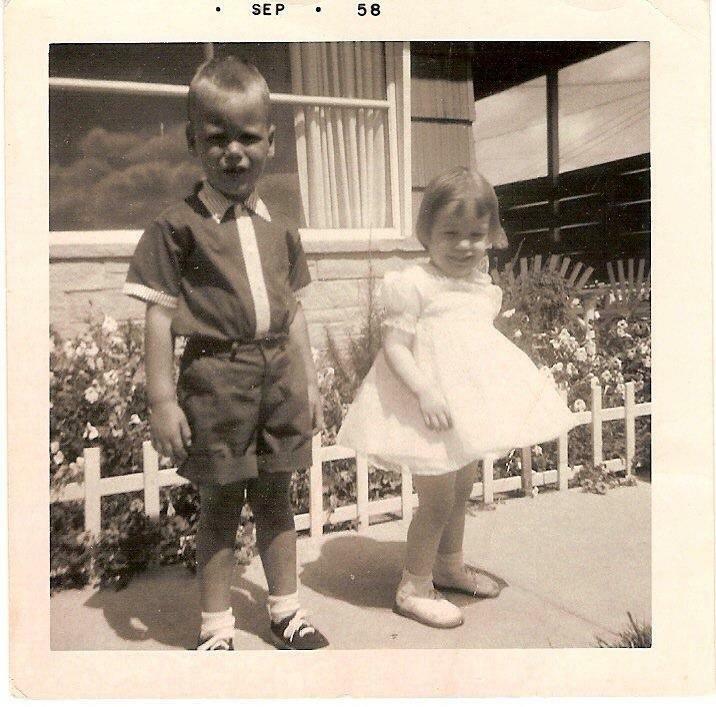 One change was for the first time since Kindergarten, I was not in the same school as my baby sister, Judy who is 14 months younger than me. When I was 7 years old I twisted my right knee really bad on our swing set and spent months- off and on- in the hospital (I’ll write a separate post about that in the future). The school district recommended I take 2nd grade over since I had missed so many days. So, from 2nd grade onward, Judy and I not only went to the same school – we were in the same grade! Now that she was going to SDHS and I was at MacArthur it was a big adjustment for me! Another change was that my music endeavors had been successful at Mound Junior High, playing in two talent shows, accompanying choirs as well as singing in choir. But, High School was like the big leagues to me at that age! 🙂 SOLITARY MAN represented my first rejection in “show business”. 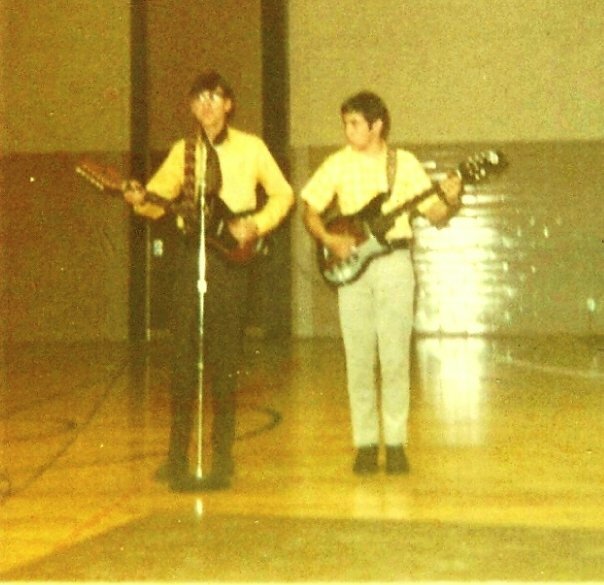 There was a Talent Show that Fall of 1970. They held auditions. I had asked my friend, Pat Tosetti, to again back me up on guitar as he had in Junior High. We did fine during the audition in the gymnasium. There was a girl folk singer who was our main competition. She also auditioned well. The judges couldn’t decide which of us to choose – only one slot was available for that type of performer so they asked both of us to come back for a 2nd audition. But this time it was in a classroom. I am not sure why but this time I was very nervous! I am sure my poor performance was the reason I was not selected but they told me later that they thought we were equal in talent, but they felt since she was a Senior, this would be her last chance to perform for her peers. I appreciated them trying to ease the pain of rejection but it still stung! I mean, that was 45 years ago and I am feeling the same angst right now re-telling this story as I did back then! 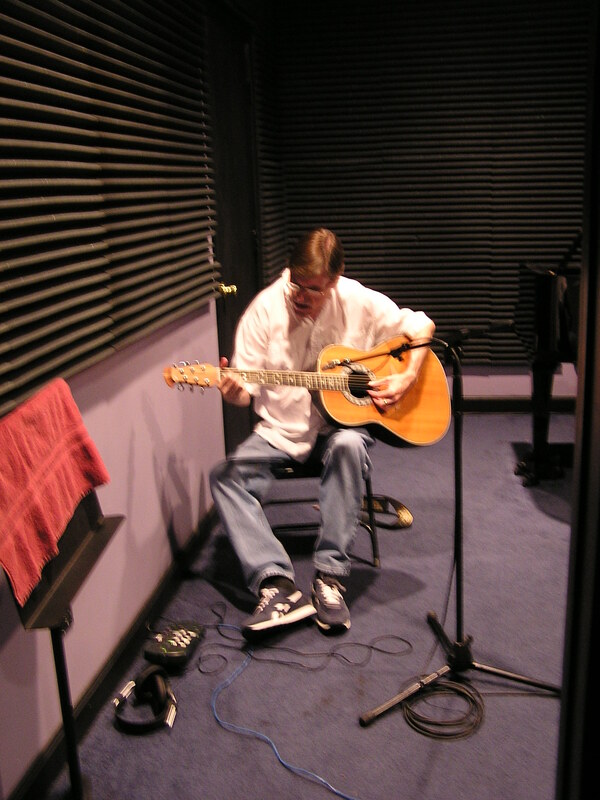 When I was deciding which songs to include on my CD “Musical Reunion” last Fall, Solitary Man was one of the songs I planned to include. But the more I listened to it, I tended to be hyper critical of my vocal and decided to leave it off the CD. Maybe it was because of my sub-conscious going back in time to the audition? It is a decent version though so I added it to my SoundCloud account so I can share it now with everyone. I did all the instrument and vocal tracks. I hope you enjoy my cover version of Solitary Man! Nearly everything about my left elbow surgery has been different than my right elbow surgery (detailed in my previous blog post). There was NO severe pain in the first 12 hours post-op as with the right. There was no need to keep me overnight at the hospital – I was home by 4:30 pm! Having gone through this before so much was easier that first week. 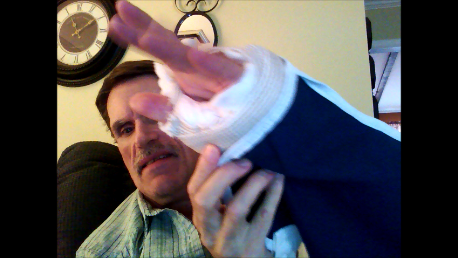 The cast/splint was much lighter (at my request). When it came off a week later the elbow was not nearly as swollen as the right had been! I again started PT right away and was soon able to touch my nose, ears and importantly, wash my hair with both hands! A lot about having a chronic medical condition has to do with the mental aspect! Having gone through this surgery 3 years ago helped in allowing me to actually visualize how things were going to happen! This time wasn’t as emotional. I was scared last time – having to deal with the unknown. This time has had more to do with “enduring” the process! One of my mental tricks I use when I am hurting a lot is, I sit up, take a breath, and say to myself, “I CAN DO THIS”! Even if it is just getting out of bed in the morning! I also could not have gotten through all this without Debbie! Her love, strength and determination keeps me calm regardless of what is being faced! There is still much to do to get this elbow back into shape but the one thing I know is…. ….Wait….Let’s first head back in time to December of 2014. I finished my latest CD of cover songs from the 1960’s and 1970’s called “Musical Reunion” and was promoting it on social media sites. As part of my treatment regimen for my hemophilia, I use prophylactic treatment every other day infusing a 50% dose of my clotting factor – the protein my body is missing causing my hemophilia – that keeps my joints from having bleeds. But recently my left elbow was barely making it, without swelling, to the 48th hour before giving the next dose. We treat intravenously using a 23 gauge butterfly needle and a 20 cc syringe – Debbie and I take turns “sticking me”! This helps my veins have time to heal and increases the number of veins we can use. I’m left handed so I can only use the veins in my right hand – so Debbie uses the left hand/arm veins. Despite diligent treatment, the elbow kept starting to swell. This went on for 6 months – I kept thinking it would get better. In 2012 my right elbow had gotten so bad that giving a 100% dose DAILY could not keep swelling in check. So, my hematologist recommended me to Vanderbilt’s best (my opinion) hand/forearm surgeon to evaluate the elbow. X-rays revealed severe arthritic damage and SURGERY was the only option. The surgery was for a synovectomy with a radial head excision. The synovial membrane contains tons of blood vessels that is the main cause of my joint bleeds. These days surgery is routine for the average person but for a “bleeder” so much has to be considered. We came up with a plan to dose 100% right before surgery, another 100% 12 hours later – another 12 hours after that then 50% every 12 hours for the next 5 days. Then 100% daily for 5 days followed by 50% doses daily until healed. I’ve been told that a 70% clotting factor level is all that is needed for surgery but for my peace of mind keeping it around 100% was necessary! As a side note, Vanderbilt Hospital uses only ADVATE as the “clotting factor 8” of choice. For some reason, I have tried several of the recombinant clotting factors but they don’t seem to work as well as the plasma based Alphanate does. So we bring our own factor with us! Debbie mixes it up and adminisers it via the IV access the nurse starts. Going into surgery I admit I was very nervous! I wasn’t even sure I would ever be able to play my guitar again! While the surgery went well, the first 12 hours post-op were the most pain I have experienced in my life. Considering the thousands of joint bleeds I have had in my life that is saying a lot! They had kept me in the hospital overnight to monitor my clotting levels. Debbie slept in the recliner in the room with me getting my pain meds when needed. But the next morning I could tell the pain was subsiding – thankfully. They had placed a cast on that arm that went from my shoulder to my wrist – I asked them to cut out an area so I could access the hand veins in my right hand. The cast was on a little over a week – we bought a plastic sleeve that covered the cast enabling me to take showers! When the cast came off the elbow was still pretty swollen but hardly any pain! They started me on physical therapy, which helped regain my range of motion. Writing and recording a new song! – I WAS able to play my guitar!!! As a postscript to my story of surgery on my Right Elbow, since October 26th 2012, I have not had a single bleed in that joint! !